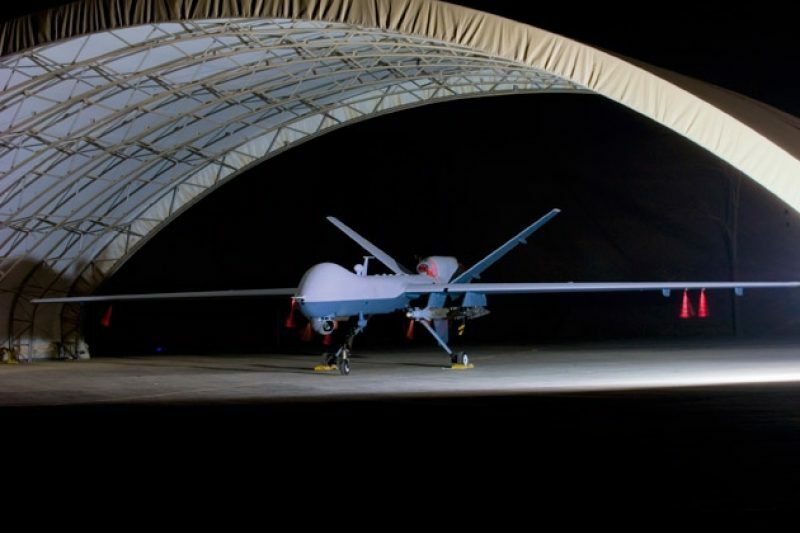 Have U.S. Drones Become a 'Counterinsurgency Air Force' for Our Allies? Drone strikes appear to be increasingly targeting those who aren’t plotting against the U.S.
On Sunday the New York Times reported that the Obama administration, prompted by the possibility of losing the election, has been developing a “formal rule book” to govern the use of drone strikes, which have killed roughly 2,500 people under President Obama. [F]or at least two years in Pakistan, partly because of the C.I.A.’s success in decimating Al Qaeda’s top ranks, most strikes have been directed at militants whose main battle is with the Pakistani authorities or who fight with the Taliban against American troops in Afghanistan. In Yemen, some strikes apparently launched by the United States killed militants who were preparing to attack Yemeni military forces. Some of those killed were wearing suicide vests, according to Yemeni news reports. To learn more about this underappreciated aspect of U.S. drone policy, I spoke to Micah Zenko, a fellow at the Council on Foreign Relations who has been critical of U.S. drone policy and was quoted in the Times piece. This conversation has been edited for length and clarity. You were quoted over the weekend arguing that the U.S., with the campaign of drone strikes, is acting as the “counterinsurgency air force of Pakistan, Yemen and Somalia.” How did you come to this conclusion? Under the Obama administration, officials have argued that the drone strikes are only hitting operational Al Qaeda leaders or people who posed significant and imminent threats to the U.S. homeland. If you actually look at the vast majority of people who have been targeted by the United States, that’s not who they are. There are a couple pieces of data showing this. Peter Bergen of the New America Foundation has done estimates on who among those killed could be considered “militant leaders” — either of the Pakistani Taliban, the Afghan Taliban, or Al Qaeda. Under the Bush administration, about 30 percent of those killed could be considered militant leaders. Under Obama, that figure is only 13 percent. Most of the people who are killed don’t have as their objective to strike the U.S. homeland. Most of the people who are killed by drones want to impose some degree of sharia law where they live, they want to fight a defensive jihad against security service and the central government, or they want to unseat what they perceive as an apostate regime that rules their country. Why does this distinction matter so much? This is a huge outstanding dilemma. Is the primary purpose of the drone attacks counter-terrorism, or is it counter-insurgency? If it’s counter-insurgency, that is a very different mission, and you have to rethink the justifications and rethink what the ultimate goal is of using lethal force. There was a February article in the New York Times reporting that the goal of U.S. policy in Yemen was to kill about two dozen Al Qaeda leaders. There’s been about 50 drone strikes in Yemen since that article. Meanwhile, according to U.S. government statements, the size of AQAP has grown from “several hundred” to “a few thousand members.” So the question is, who is actually being targeted, and how does this further U.S. counterterrorism objectives? Is this use of drone strikes to kill people who are not imminent threats to the U.S. new? No. The marked shift was in summer 2008 when the Bush administration decided to significantly lower the threshold of who could be attacked. The purpose of this change was to reduce threats to U.S. servicemembers in southern Afghanistan and to intervene where some suicide attacks were organized in the tribal areas of Pakistan. This was the time when the “signature strikes” really became ingrained. Bush administration officials called this the “‘reasonable man’ standard,” and if you were displaying what are called “patterns of behavior,” you could be killed. People mistakenly think that this policy started under Obama, but it didn’t. It did accelerate markedly under Obama. He has had more drones to do this, was much more vigorous about authorizing their use, and expanded the signature strikes into Yemen. How does this use of drone attacks square with official administration statements describing the policy? They will never say that the United States uses drones to fight local insurgencies. If they made that case, they would have to create a new bastion of justifications. The current stated justifications are very carefully thought out and very deliberate to loosely adhere to the post-9/11 Authorization to Use Military Force and principles of Article 51 of the UN Charter, governing the use of force. There has been a long-term fight with people within the administration who want to reform the policy and think the U.S. needs to be more transparent — both for domestic reasons and because of the precedents being set for the use of drone strikes. If other countries follow our practice in how they will use drone strikes, that would be a very unstable, dangerous world to live in. Note: We asked White House spokesman Tommy Vietor to respond the notion that drones strikes often involve those who are not a threat to the U.S. He declined to comment.